Moonlight by Ariana Grande Eau de Parfum 30ml Gift Set. Moonlight by Ariana Grande Eau de Parfum is the newest perfume in the Ariana Grande range. Luminous and alluring like the MOONLIGHT, the new fragrance opens with sparkling Rich Blackcurrant and Juicy plum, while the ultra-feminine heart of Fluffy Marshmallow and Fresh Peony add a captivating wink of intrigue and mystery. Seductive base notes include Creamy Sandalwood, Black Amber and Sensual Vanilla create an indulgent, lasting trail of addiction. 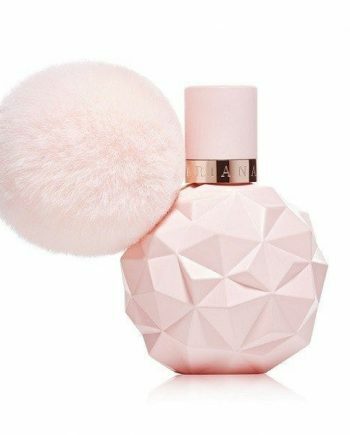 The bottle is iridescent capturing light when turned and finished off with Ariana’s trademark pom pom in a beautiful lavender hue. Gift Set contains an Eau de Parfum 30ml Spray and Purse Spray 7.5ml.